You may have ignored it in junior high science class but in the fashion world, the color wheel is a game changer. Our minds see “beauty” as symmetry, balance, and repeated patterns. We naturally respond well to harmonious color combinations in clothing and accessories. 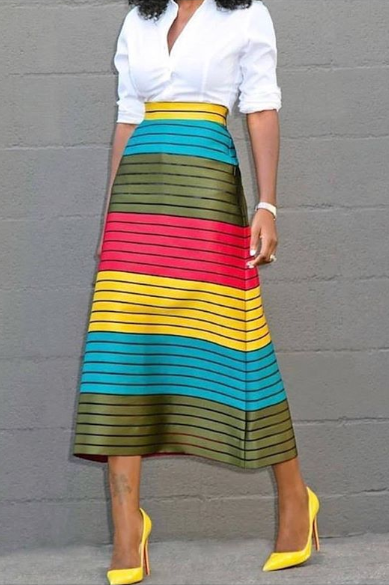 If you understand how the color wheel works, it will give you an entirely new perspective on color matching and ensure you have the tools available to create a perfectly balanced and classy-looking ensemble. 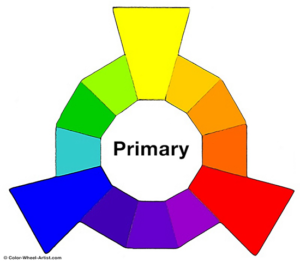 The color wheel has three predominant patterns: primary colors, secondary colors, and tertiary colors. The three primary colors are spaced equally around the color wheel, The primary colors are red, yellow, and blue. They can be mixed together to create any other color. Every color derives from a mixture of the three primary colors – and no colors can be mixed to create them. Secondary colors are a combination of the primary colors. You can think of them as children of the primary colors. 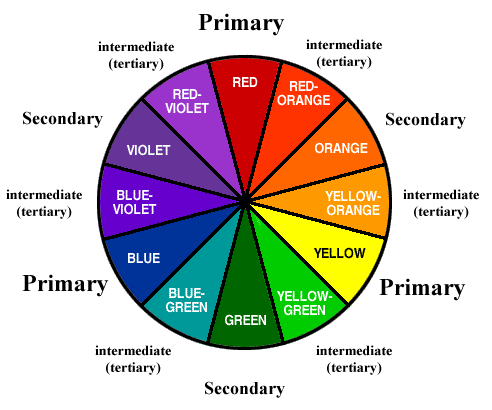 Orange (red and yellow), purple (red and blue) and green (blue and yellow) are considered the secondary colors and like the primary colors, are spaced equally around the wheel but exactly centered between the primary colors. 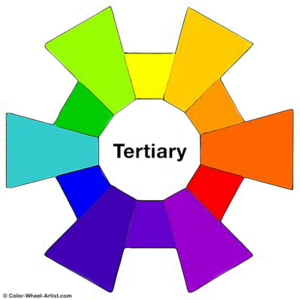 When primary colors and secondary colors are combined, they create a third class of colors called tertiary colors. Mixing primary and secondary colors makes other colors such as aqua and coral. The tertiary colors are yellow/orange, red/orange, red/purple, blue/purple, blue/green, and yellow/green. 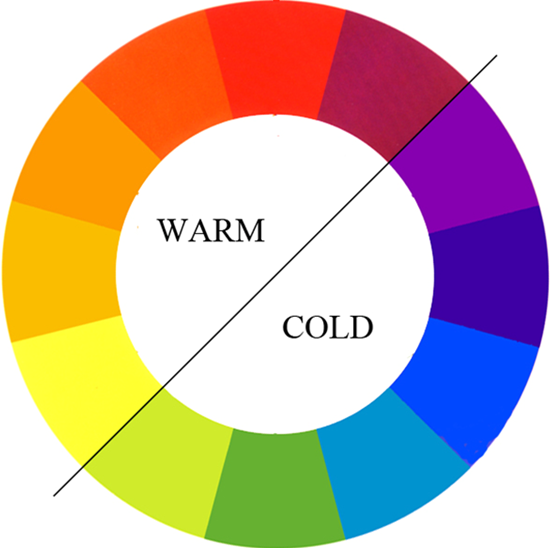 Another way to classify colors is by temperature. Warm colors are hues from red through yellow. Cool colors are hues from green through violet. Neutral colors are “colorless” and include black, gray, white, brown and other colors in between. Warm colors appear more active and tend to arouse or stimulate the viewer while cool colors tend to recede and serve to calm and relax. Warm colors – yellowish white through red colors such as such as red, orange, yellow, and brown. Cool colors – bluish white colors such as blue, purple, and green. Neutral colors – such as black, gray, white, off-white, brown, charcoal, and beige. Given the understanding of the color wheel and color temperatures, we can easily match colors that are pleasing to the eye and create a beautifully matched outfit. 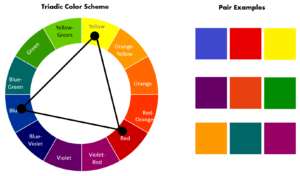 Complementary colors are colors on opposite sides of the color wheel, For instance, red/green, yellow/purple, and blue/orange. Complementary colors always match. Usually the colors are the same distance from the center of the color wheel (i.e. shades), but you can play around with complementary colors at various distances from the center to produce a similarly satisfying combination. A trick professional designers use is to pick two complementary colors, then select one that is a slightly darker shade. For instance, instead of red/green, opt for red and olive green for variety while retaining a harmonious color combination. Analogous colors (also called dominance harmony) are colors that are continuous shades on the color wheel. Different shades of the same color almost always look great together giving us another way to produce matching (i.e. pleasing) color combinations. Red, reddish-orange, orange, yellow-orange is one example of a set of analogous colors. Triadic colors are colors on the wheel that are equally spaced apart, forming a triangle across the color wheel. 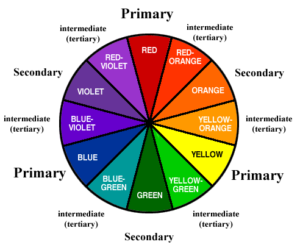 These colors include not just the primary (red, yellow, and blue) and secondary colors but any combination of colors that are equally spaced on the color wheel. Triadic colors look well together and are typically quite vibrant. Split complement colors are also pleasing to the eye. 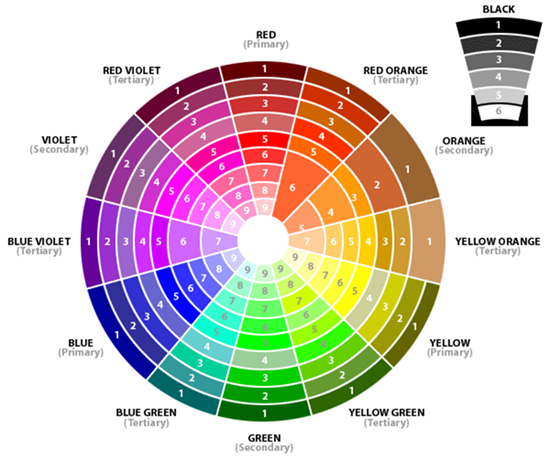 To find the split complement colors on the color wheel, start with a color, then find the two colors next to its complementary color (the color on the opposite side of the wheel). Surprisingly, these colors often provide a pleasing balance of color. For example, using the wheel below we can see that the complementary color for red is green. The two adjacent colors, yellow green and blue green, also work well in an outfit that is predominantly red. As you can see in the dress below, the colors indeed work well together. Tetradic colors, also called double complementary, are the richest of all color schemes but the most difficult to harmonize properly. A tetradic color scheme requires one color dominate over the others. 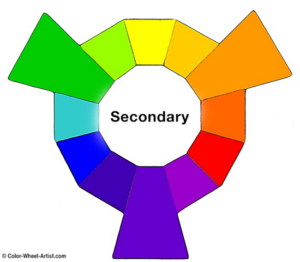 Tetradic colors can be uncovered by looking for a rectangle of colors on the color wheel. Similarly, a square color scheme uses four colors spaced evenly around the color circle. Again, pleasant tetradic color schemes are difficult to form but are sometimes found in professionally designed patterns. There are a few other considerations to keep in mind when matching colors in an outfit. Try to match your color choices with your skin tone. Cooler colors such as navy, blue, and shades of green pair well with pale or yellow-toned skin while warmer colors such as gold and amber look good with deeper skin tones. Try to keep color families together. For instance, match pastel colors with other pastels, jewel tones with jewel tones, etc. Naturally occurring colors in certain materials should be matched. For instance, if you wear dark leather shoes, choose a dark leather belt. 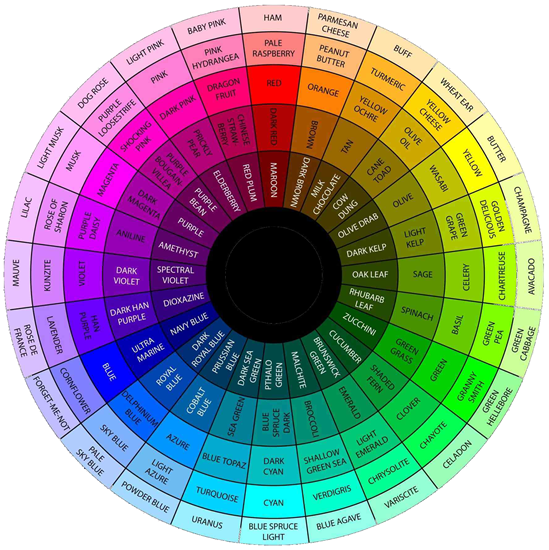 Sources: the color theory chart at the top of the page can be purchased in high-resolution PDF format from Graf1x.